From Mediaite: Sarah Palin appeared Tuesday night on On the Record, giving us her piece on Obama’s plan to make religious employers offer contraception in their health insurance plans. Considering it a move that initiates “a fight with faith-filled Americans,” Palin went on to say that it was an outright “un-American” act, and something worth fighting back against. Watch the full video here. Suprise, suprise! Blake Lively has a stalker. Gossip Cop reports that the lovely, leggy star has officially moved for a restraining order against a man named Sergei Mifle. Apparently Sergei thought repeatedly visiting the set of Gossip Girl and contacting Lively’s mother would help him actualize the “metaphysical” connection he felt with Lively. Unfortunately for him, the connection will have to remain just that. Probably from about 300 yards. Read the full post here. “Believe it when you see it” has never meant so little. Geekosystem brings us Adobe’s latest sneak peek of Photoshop CS6. 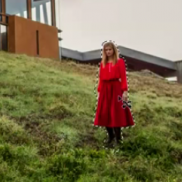 If you don’t even know what content-aware fill features do, have a look – it’s cool. If you do know, you’ll still be impressed. For the full post, click here. 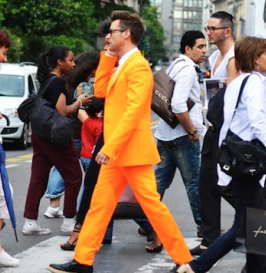 From Styleite: following Brad Goreski’s trip to Milan for fashion weekwas FUN. From this blossoming and colorful cutie we can get a nice picture of what it might have been like to have access to that world last week: designers channeling the backstreet boys, beautiful models in slouchy trousers, synchronized dancing, failed attempts to buddy up to Dwyane Wade…and the list goes on. For the full post, click here. And the puns keep coming! 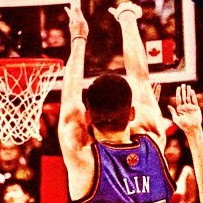 Sportsgrid reports on how “Amasian” Jeremy Lin is to the New York Post. Pun or no pun, they’re right, and people are reading on. I don’t think anyone is quite yet tired of this guy, who sunk a three- pointer with .5 left on the clock against the Toronto Raptors last night. For the full post, click here. From The Mary Sue: Who’s that happy guy? And why is he so happy? Why, it’s Mark Zuckerberg, and he’s been invited to join Pinterest! I wonder how long he had to wait. Considering that 2 million of Pinterest’s users are coming directly from his network – leaving Pinterest with a whopping 10 million users as of yesterday – probably not long. For the full post, click here. The Jane Dough wants you to know (if you hate your job) why you hate your job. You deserve to know. 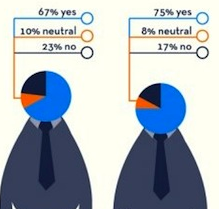 But even if you love where you spend your 9-5, infographics are cool to look at. Check this one out: it details a host of elements regarding job satisfaction.